So I’m guessing that you’re very close to launching your own website. I’m glad. That’s a good thing for both you and the marketplace. You’ll change a hundred thousand lives (or probably even millions! ), you’ll achieve your personal and professional goals, and everyone will be happy. Now step back for a moment and let us face the truth together. What you’ve just read is one of the fairytales that continues to spread, and spread, and spread, up to the point where most of the newbie entrepreneurs and webmasters will develop false expectations of what online business success actually means. So here’s the essential point here: before launching a website, you must be very certain that you have covered the essentials. SEO optimization, as I’ve already mentioned, is one of the keys to online success. Do you want even more reasons? Well, according to Smart Insights, search engines receive around 6,586,013,574 searches per day worldwide. So basically, search engines represent the main source of information that people access on a daily basis. Back to my question. Are you ready? Have you done everything you could to optimize your website’s pages and content for the search engines? Are you up to speed with the latest SEO practices that can skyrocket your organic traffic performance? Are you ready to rock’n’roll? In this post, we’re going to explore the essentials of a successful pre-launch SEO optimization. The better you optimize your site for Google the more traffic you’ll get in the short and long run. In today’s marketplace and digital environment, a website that has no search engine exposure will suffer a lot of drawbacks and challenges. Let’s see how you can avoid that by all means. Simply because you have decided to index your website faster, Google will improve its authority over time. Index all your content and multimedia the moment you’ve created it and restrict the access (with a coming-soon page) until everything is ready. Ranking and indexing take time, so don’t miss this shot. You should know by now that email marketing is an essential part of your business. Acquiring more leads should be one of your priorities, so why don’t you leverage a “coming soon” page? 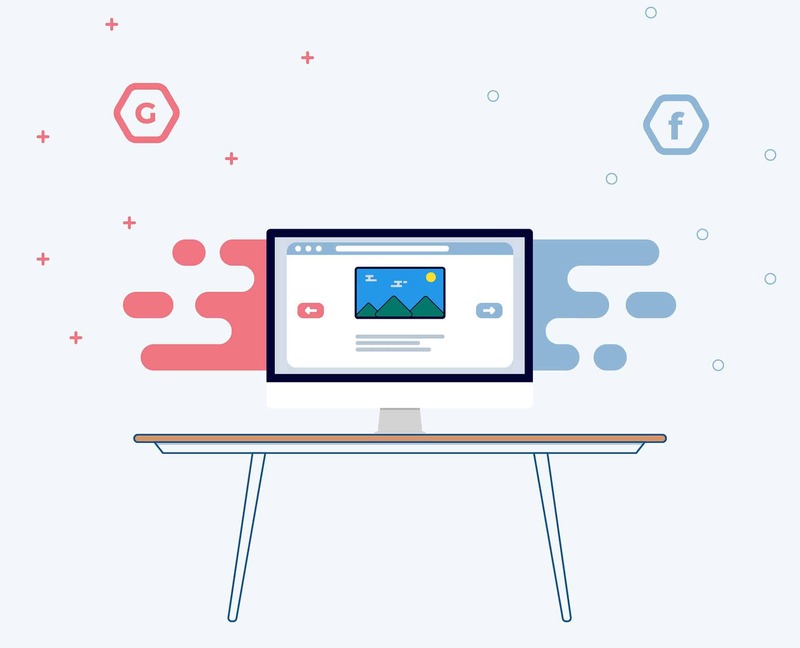 An impactful CTA (call-to-action), a relevant incentive, and a short form are all you need to significantly grow your database of followers before even launching. If you want to, you can integrate your social media profiles into the “coming soon” page. With the use of a strong CTA, you can prompt your website visitors to like your page or send you a message. You can get direct feedback and improve your website before launching it. To make your potential customers even more curious about your brand, you can add a short video that explains/shows how your product/service works. However, ensure that you only give away “just a bit”. They’ll get more once your website is on. SEO optimization can be On-Site or Off-Site. Basically, on-site optimization refers to the optimization of your own website and content in order to be more search engine friendly, while off-site optimization deals with the everything that’s outside your website (links, social signals). 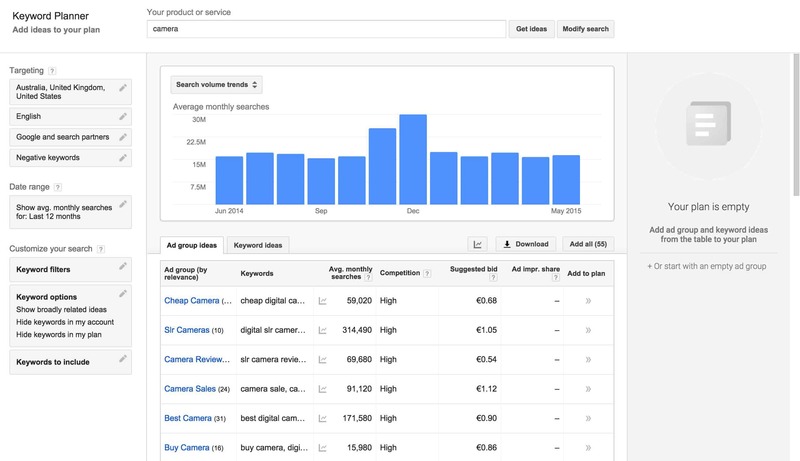 Whenever you develop an SEO strategy, you have to start with the keyword research process. Research and discover the main keywords that you wish to optimize your website for, note them down, and have a big list of keywords ready for the future. 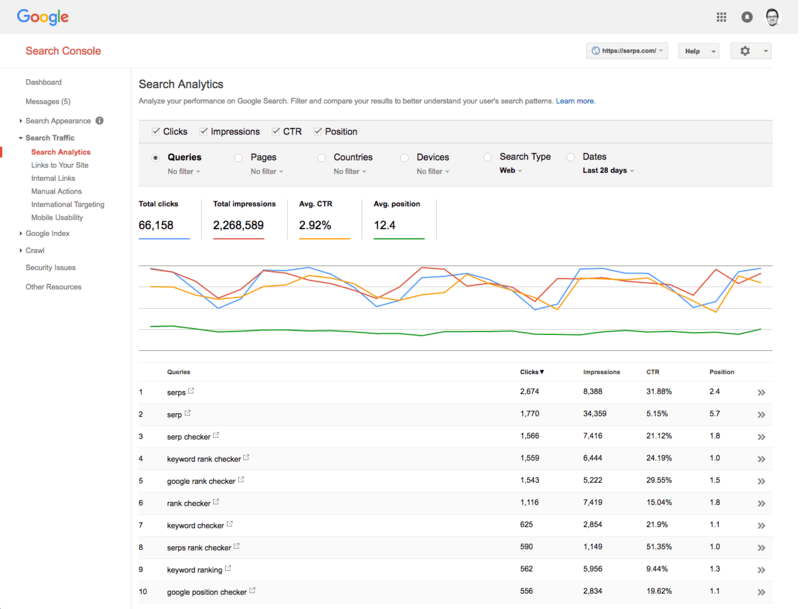 You can use tools like Google Keyword Planner to find more relevant keywords. Every time you’ll write content and develop website pages, use an alteration of keywords to let search engines understand and “note down” the main topic of your website. We also suggest checking this comprehensive list of some of the best keyword research tools which might make your life much easier. A friendly, optimized URL will help you rank higher in the SERPs. When you first launch your website, all your links will be a mess. You need to ensure that you’re using your main keywords within your URLs. Moreover, your URL should always contain hyphens (-) instead of underscores (_). Also, avoid the use of a dynamic URL while making sure that your URL stays unique. The first impression always counts. Search engine users will first make contact with your title tag, so the more efficient it is the more traffic it will generate. Your headline should contain no more than 60 characters, it should be extremely concise and relevant, it must be unique, and it must contain your keywords. This short summary helps you convey your message easier, and at the same time, it also helps the search engines understand what you want to achieve with it. I’d suggest you write more for the people and not for the crawlers. People read the descriptions of the search results, so do your best to capture their attention. Also, keep it short. I’d recommend a maximum of 160 characters. In order for your website to be remarked and ranked by the search engine crawlers, it needs to be “crawler-friendly”. In short, you need to ensure that your website’s structure, your content, and your web pages are accessible to the search engine’s spiders. Otherwise, even though your content is good and you’re following all the rules, your pages will not rank. You’ll need to generate an XML sitemap file using Google’s Search Console. This file should contain a list of all your web pages, links, and content that you want to make accessible to the crawlers. There’s also a robots.txt file that helps search spiders understand your indexing preferences – like how and which of your pages should be crawled and indexed. Search engine optimization brings new opportunities every year. Lately, we’ve seen many new features in the SERP, which are all meant to optimize the user’s experience. Leverage Schema.org to introduce specific tags to your HTML code so that your page will be better represented in the SERP. The Schema Markup concept is basically a result of the collaboration between the biggest search engines (Google, Bing, Yahoo, Yandex), so optimizing your website for Schema will improve your website’s display in the SERPs, and it’ll also favor your ranks. Moreover, you might also be presented with rich snippet opportunities. Who knows? Maybe adding the “review stars” next to your site’s search result might skyrocket your CTR rate. Moreover, learn to leverage OpenGraph meta tags and you’ll boost your website launch even further. What existing relationships, sites, and profiles can you leverage? Considering that your online activity is not new and you’ve been activating under different names or domains, you should go back to every place you’ve used and change the URLs. Point them back to your new website – these will be your first leads. If you remember an article only by a single image, we suggest using https://searchenginereports.net/reverse-image-search that will help you find that particular image. Ultimately, you will the domain name where you left that specific image. Who will be willing to promote or speak about your launch? If you have a list of people in mind that “would be willing to help out”, that’s great. Ensure that these individuals have a relevant audience, otherwise, this tactic won’t be very effective. No matter the nature of your relationship with these people, you should offer something back. An exchange of links, perhaps, or maybe a small compensation? See what you can do. Outreach Wizard shows you some of the best metrics you can use to judge the effectiveness of blogger outreach. What influencer outreach or press coverage opportunities do you have? Do you have friends in the media? Do you know people that own big social presences? If you don’t, start networking. Hear me out: if you want your website’s launch to be a “boom”, you have to get your wet and work for it. Or, you can pay for it. Depending on your budget and resources, you should ensure that you have at least one “bigger” social/media outreach partner that’ll amplify your website’s launch. I hope that our tips have convinced you that online success is not easy to attain, especially in a heavily competitive marketplace where everyone’s fighting for a little piece of the bread. Now. Considering that you’ll apply our optimization suggestions, please get back to us in three months and tell us the results. If I missed anything, also please report it here in the comments section. I wish you a successful launch! Published on January 16, 2018 by Warren Fowler; modified on March 18, 2019. Filed under: launch, seo.